Green waste is almost always present in our backyards. This waste can be anything from grass, leaves, twigs, yard trimmings and shrubs. So before partaking in any gardening or landscaping activity around your home, you need to know why it is important to remove this kind of waste from your property. Leaving green waste unattended around your yard can become a costly problem, if not taken care of. In this article, we want to share the reasons why you should consider green waste removal before landscaping your yard. Before you start any landscaping activity in your yard, you must ensure that the green waste in your garden is tackled. Remove any shrubs and weeds around your garden before planting any other plants or flowers. These weeds and shrubs have a tendency to overgrow in a garden which can pose a problem to your garden and your plants once they spread in your yard. 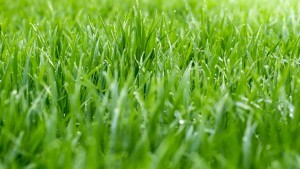 By taking proper care of your yard and keeping it green waste free, you unsure a strong nice weed-free landscape. As we mentioned earlier, green waste materials include grass, twigs and branches among others. When you leave all this waste to pile up in your yard, it is likely to attract different types of reptiles and insects such as snakes, spiders, mosquitoes and bugs to your yard. These pose a danger not only to your property but also to your health and your loved ones well-being. Some of these insects carry diseases that may harm you. When you remove this green waste before any landscaping, you ensure safety for yourself while working and safety for your home as well. All the green waste that comes from your yard is not all waste. It is taken to recycling plants where it is decomposed naturally. It is then used to make fertilisers such as compost that are all natural which greatly improve the soil quality. When used vastly, the compost improves farming and other agricultural activities. Compost is also used to make soil improving agents such as mulches and blended soils that are very useful for gardening and landscaping. Compost has so many landscaping uses too. It enriches the soil with nutrients, makes blended soils and pot mixes for gardening. We do advice you to use a separate bin for all the green waste coming from your yard before undertaking any landscaping work. Another thing to keep in mind, is recycling green waste ensures that it is not dumped on landfills. This is necessary in order to help reduce production of greenhouse gases. This helps to keep the environment free from pollution. Some areas have rules and regulations on how green waste should be removed. They also have guidelines on how green waste should be disposed. If you let the green material to pile up in your yard or start littering rubbish around your home, you might find yourself being fined. Before landscaping your yard, you should make sure to remove the green waste and carefully dispose of it to avoid any legal issues with the law. Finally, Proper removal and disposal of green waste has so many benefits. Not only are you doing well for the environment but, you also put yourself in a position to work on your landscaping work without any problems. Look for a company that specialises in rubbish removal in Perth to help you keep your yard tidy and bug-free. Join hands to keep a green earth and a clean environment! Call Kanne on 0414 434 257.